Reeds Rains Durham have an opportunity to market these fantastic contemporary homes set on a private estate on the outskirts of the beautiful city of Durham. The private park is situated in a quiet setting with views out over the Durham countryside but still within a short walk into the centre with all of Durhams culture and extraordinary architecture. Unlike most private estates, this particular one has an all year round licence where this can be your home 12 months of the year or alternatively this could just be your Durham base while you travel the world. Maintenance fees to apply so please contact for details. 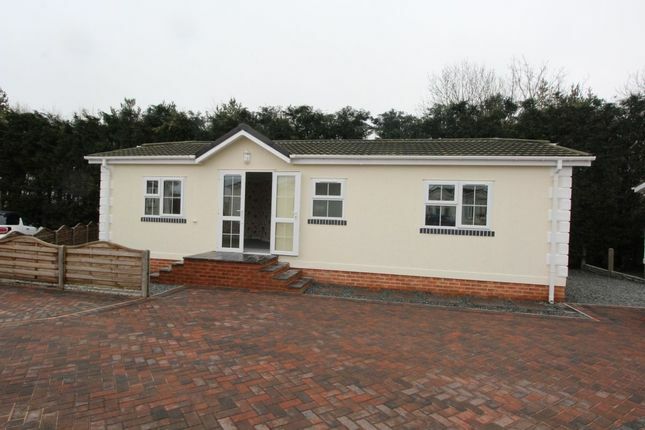 The site is for over 45's only which ensures that this peaceful location remains a quiet setting with good size plots enabling your privacy at all times. Pets are also welcome on the site. These beautiful homes are designed by a very prestigious company and are made in Suffolk with the highest standards. They each come with a Gold Shield ten year warranty and with CCTV. They also benefit from dusk lighting. This particular property consists of two bedrooms one with en suite and walk in wardrobe, family bathroom, large open plan dining/lounge area, kitchen, externally: Driveway for two cars and ability to build a garage or shed. Double glazed window, door to front, two built in cupboards one containing boiler, wood effect flooring, radiator. Double glazed window, sink with drained unit and mixer tap, integrated electric oven, induction hob and extractor hood over, combination of base and wall units with contrasting granite effect work tops and uplift, black glass splash back, integrated dish washer, washer/dryer and fridge/freezer, down lights, wood effect flooring. Two double glazed windows, one double glazed bay window, double glazed patio doors, three radiators. Double glazed window, walk in wardrobe, radiator. Double glazed window, extractor fan, shower unit, low level WC, sink inset to vanity, part tiled, heated ladder style towel rail. Double glazed window, two built in wardrobe and draws, radiator. 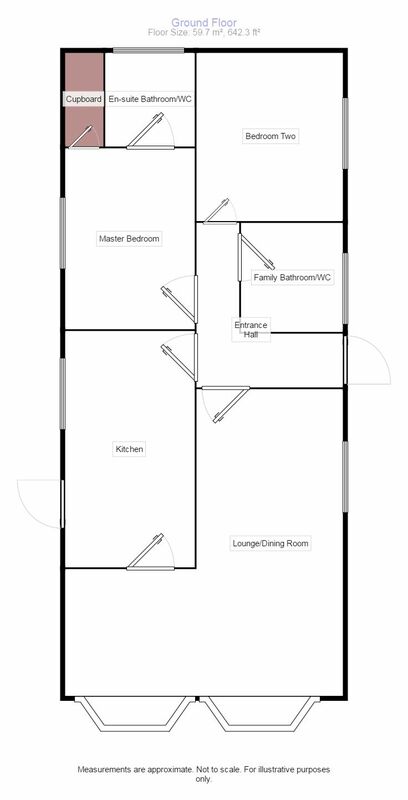 Double glazed window, extractor fan, paneled bath with shower and screen over, decorative wall panels, low level WC, sink inset to vanity, shaver point, radiator. Paved driveway for two cars, ability to build shed or garage, flower beds. Property descriptions and related information displayed on this page, with the exclusion of Running Costs data, are marketing materials provided by Reeds Rains - Durham City, and do not constitute property particulars. Please contact Reeds Rains - Durham City for full details and further information. The Running Costs data displayed on this page are provided by PrimeLocation to give an indication of potential running costs based on various data sources. PrimeLocation does not warrant or accept any responsibility for the accuracy or completeness of the property descriptions, related information or Running Costs data provided here.